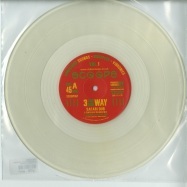 3 the dub way is what happens when 3 uk veterans of the dub roots reggae scene finally hook up to make some music. with countless years of studio experience between them, it is at last time to create some dubs together and the results are sout now on scoops records. 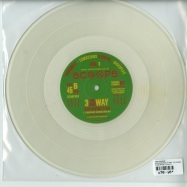 these limited edition 10” vinyl singles are beautifully presented on clear vinyl in clear plastic sleeves.